Illness is intimately connected with identity. Whenever we ‘do not feel ourselves’, but instead feel out of touch with or just different to ourselves in some way, this can occasion a sense of dis-ease or malaise, one which may in turn find expression in bodily symptoms or disease. What feels discomforted or ‘threatened’ by us feeling different is not our ‘immune system’ but our immune self. This is the self that generally does not allow what we feel to affect our sense of who we are – to alter our felt sense of self. Thus we say ‘I feel good’ or ‘I’m not feeling good’ as if it were the same ‘I’ in both cases. This is the way the immune self protects us from feeling ourselves – this very ‘I’ – in a different way. The so-called ‘immune system’ and its ‘defences’ is but a physical expression of the immune self and its defences. These defences serve primarily to protect a sense of unchanging identity – in particular that unchanging mental or ego identity represented by the unchanging word ‘I’. It is the over-activity of the immune self – the ego – that actually ‘weakens’ our body’s physical immune ‘defences’. Yet this very ‘weakening’ can help us to overcome our identity defences through illness – for through illness our most intimate bodily sense of self is altered in a way the ego cannot deny. We can feel different in positive as well as negative ways – and feel a different bodily sense of self without experiencing dis-ease or getting ill. Nevertheless, all illness begins with a sense of ‘not feeling ourselves’ – feeling different in a way we find discomforting and are ill-at-ease with. Not feeling ourselves however is a part of a natural process through which we can learn to feel another self. This is a fundamentally healthy and healing process, for by letting ourselves feel other, different selves to the one we normally identify with we quite literally come to feel more of ‘ourselves’. We become more whole by feeling more of our whole self or ‘soul’ in all its sides and aspects. This is what I term the health process. Out of an initial sense of ‘not feeling ourselves’ may come something else however. Instead of allowing ourselves to begin to feel and accept another, previously foreign sense of self emerging within us we may feel ourselves possessed or invaded by some ‘thing’ that is foreign or alien to us – that is ‘other than self’ or ‘not self’. We then immediately brand this ‘thing’ as bad and seek to eliminate it. What I call the illness process begins with not feeling ourselves but rather than leading to us feeling another self, leads instead us to us feelling something other than self or not-self ‘getting at us’ or ‘making’ us feel bad or ill. Completely ignoring the meaning to be found in feeling a new and previously ‘foreign’ sense of self pervading our bodies, medical science looks only for the cause of symptoms in some sort of ‘foreign body’ -for example in the form of a virus or a cancerous tumour made of so-called ‘non-self’ cells. This is the exactly the same bio-medical model that led Hitler to regard the Jews as ‘foreign bodies’ – together making up a sort of malignant ‘tumour’ invading and growing in the ‘body’ of the Volk – and needing to be surgically ‘cut out’ and annihilated. 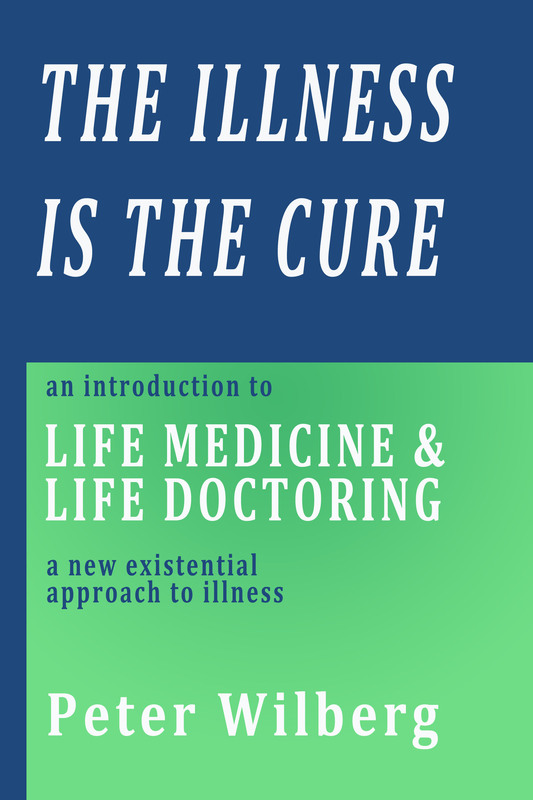 Alternatively the ‘illness process’ may take us from not feeling ourselves to feeling no self – to completely losing any sense of self and with this, losing our mental bearings in life. Having become completely identified with a part of our whole self or soul – its loss is felt as a loss of identity as such, a loss of our soul. 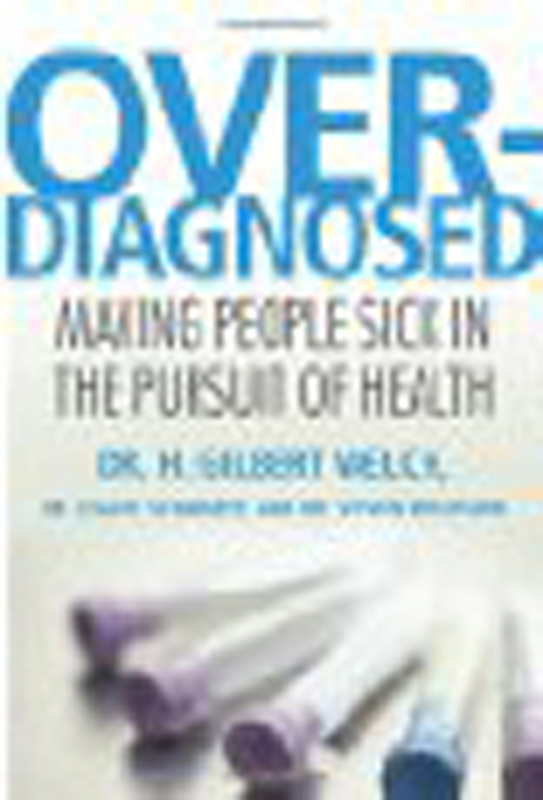 The difference between health and illness, as between so-called ‘mental’ illness on the one hand and ‘physical’ illness on the other, all comes down to how our immune self or ‘I” responds to the initial bodily sense of not feeling ourselves and instead feeling a sense of dis-ease attributed to something other-than-self – or else fearing or feeling a total loss of self. The ‘defences’ of the immune self are manifold. It may bring about a weakening of the physical immune system in order for the body to be able to manufacture and identify something ‘not self’ (for example an infection or tumour) for the body to fight. This in turn helps the individual to forge a temporary identity as a ‘patient’ – someone with a medically defined disease. A new identity may also be forged through some form of recognisable ‘mental illness’. The individual may become ‘paranoid’ – perceiving threats to the immune self as coming from the world or hallucinated spirits or voices rather than their body. Or they may over-identify with other people – real or imaginary – to substitute for a basic sense of loss of self. The variations are endless, and highly individual – yet no more so than the endless variety of defences that so-called ‘healthy’ or ‘normal’ people deploy to defend their sense of an unchanging ‘I’ – the immune self. 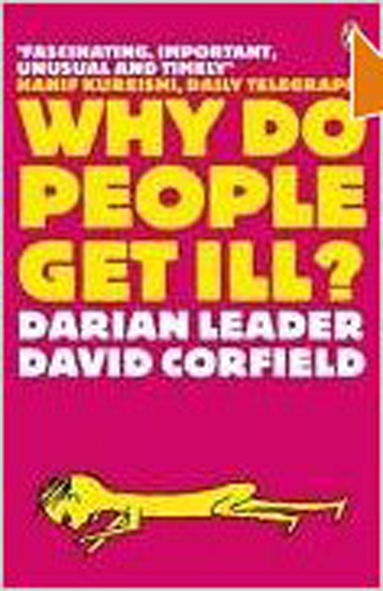 Chief among such defences include are health fetishism supported by a culture of health fascism – one in which anything and everything but the immune self – whether smoking, specific types of food or so-called ‘unhealthy’ lifestyles – is turned into a scapegoat for disease. Thus arise the typically military metaphors used by medical science and the commercial health industry alike – for example the mantra of ‘strengthening’ the body’s immune ‘defences’ to ‘fight’ disease. Illness as Pathology or Pregnancy? Illness can be understood as a state of pregnancy in which we bear within us the fertilised and growing seed of a new bodily sense of self. This may quite literally take the form of what appears to be a ‘foreign body’ in the form of a virus or tumour – made up of what biologists call ‘non-self’ cells to which our immune system then responds aggressively, thus generating the symptoms of illness. Yet a foetus too is made up of cells foreign to those of mother’s body – and yet is not attacked by her ‘immune system’. And if, as many medical scientists suspect most diseases – including cancer – are not a mere ‘cause’ but a result of a weakening of our bodily immune ‘defences’, then we may ask ourselves whether the weakening of those bodily ‘defences’ may not itself be a result of an over-strenthening of our ‘mental’ immune system’ on the part of the ‘immune self’ – whose egotistic defences, impenetrability and rigid defences against all sense of otherness serve to maintain an illusory separation of self and not-self, self and world, self and other, and which therefore forecloses the very essence of the health and healing process – the conception, birth and embodiment of other selves, relying instead on medical intervention to cut out or annihilate the offending ‘foreign bodies’ whose somatic expression they are. From this point of view illness can be regarded as the miscarriage of a pregnant self, just as successful medical ‘cure’ can be liked to the termination of a pregnancy simply because the malaise accompanying pregnancy or the labour pains of birth are too much to bear. Institutionalised Medicine can be compared to a vast, ever-more costly and counter-productive social immune system – or rather a social auto-immune system aimed at the self-preservation of an inherently sickness-generating society. Immunology as a ‘science’ is in effect a new form or ‘biobabble’ or ‘biomythology’ . This mythology is ruled by the neo-Darwinian assumption that life is ruled by a basic drive towards ‘self-preservation’ – whether of the individual, the species or “the selfish gene” (Dawkins). Yet life is nothing essentially in need of preservation in the first place, and finds expression just as much in illness as in health, in a cancerous cell as in a ‘healthy’ one. And if the natural world teaches us anything it is that death – whether of cells, organism or whole species, is natural a part of life. Particular forms taken by life may appear be threatened, but life as such is essentially a continuous process of trans-formation of which death itself is a part and not a termination. What applies to life applies just as much to ‘the self’ – to identity – which by its nature is nothing fixed and therefore in need of immunological ‘preservation’ in the first place. If genetics has shown us anything it is that identities freely mix and merge, form and transform. To be a self means to be in a constant process of “becoming other” (Deleuze), one that only a society based on the model of an unchanging egotistic self feels threatened by or in need of defences against. It is only when the the natural growth of individual’s through a process of transformation or “becoming other” is blocked – thereby preventing the natural unfoldment of the individual’s life potentials and capacities, and the natural expansion of their identity – does the phenomenon of ‘cancer’ take its place, i.e., ‘growth’ in the form of an uncontrolled multiplication of identical rather than self-differentiating cells. Cancer is thus the biological mirror image of capitalism’s inherent and incessant drive for a tyoe of industrial ‘growth’ based on the mass production of identical or near identical products in aggressive commercial competition with one another and all serving, like cancer cells, to replace highly individualised, differentiated or self-differentiating cells -and human beings – with self-identical or ‘identikit’ ones.